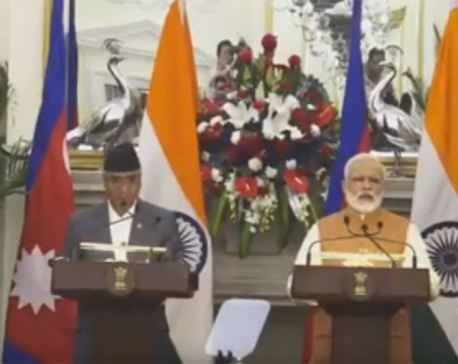 KATHMANDU, June 7: Nepali Congress President Sher Bahadur Deuba has been sworn in as the new Prime Minister of Nepal on Wednesday. President Bidya Devi Bhandari administered oath of office and secrecy to Deuba amidst a special function in Sheetal Niwas today. With the swearing in ceremony, Deuba now has became the prime minister for the fourth time who secured 388 votes out of 593 votes in the parliament yesterday. 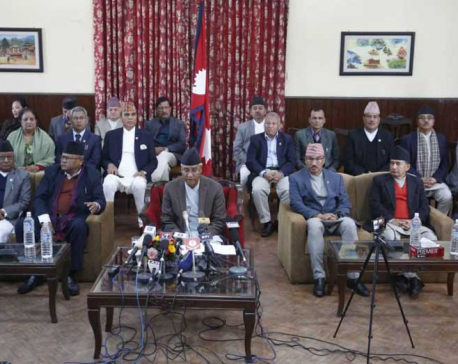 During the PM’s voting, 170 lawmakers, mostly from CPN-UML, voted against him while as many as 35 abstained from the voting process. 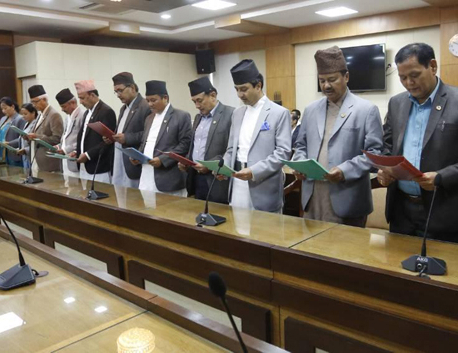 Likewise, CPN (Maoist Center) politburo member Krishna Bahadur Mahara, who leads the party in the Deuba cabinet, was sworn in as Deputy Prime Minister and Minister for Foreign Affairs. Similarly Janardan Sharma was sworn in as Minister for Home Affairs while Prabhu Sah as minister without portfolio. Gopal Man Shrestha of Nepali Congress has been sworn in as Deputy Prime Minister and Minister for Education while Forum Loktantrik Chairman Bijaya Gachchhadar as Deputy Prime Minister and Minister for Federal Affairs. Likewise, Farmullah Mansur took the oath of office and secrecy as Minister for Labor and Employment while Gyanendra Bahadur Karki as Finance Minister.